In a Nutshell: Choosing the best life insurance policy for you and your family can be a tough decision, and, the truth is, there is not an easy answer as to which policy is the correct choice. American Family Insurance offers some valuable insider information on how to go about making this very important decision. From considerations on income level and age to length of coverage, this life insurance overview can help you know what to expect as you dive into the vast world of life insurance policy options. I’ve put off the decision for long enough. Of course it’s not fun to think about choosing life insurance — facing our mortality in such concrete terms can be daunting. But I recently realized that the positive side of this particular coin is that it feels very comforting to know that I’m making the right decisions that will help my wife and son be in the best financial position possible if the unthinkable happens. So, now that I’m ready to jump into the world of life insurance policies to determine which one is best for me and my family, our interview with Nate Korhonen, the Director of Life Sales and Support at American Family Insurance couldn’t have come at a better time. American Family Insurance began as Farmers Mutual Automobile Insurance Company, an automobile insurance company based out of Madison, Wisconsin, in 1927. Over the years, the successful insurance company expanded its coverage to eventually have a presence in all 50 states, as well as exclusive agents in 19 states. It also expanded the types of insurance coverage it offers to customers. Today, American Family Insurance is the nation’s 13th largest property/casualty insurance group and ranks No. 311 on the Fortune 500 list, with revenues of $9.3 billion and 2,800 independent contractor agents. We had the opportunity to ask Korhonen some questions about the vast world of life insurance. In our discussion, he covered a lot of ground and emphasized the importance of understanding all of the variables and options that go into selecting a life insurance policy. Korhonen said it’s important to understand that there is no clear-cut answer when it comes to determining how much life insurance is recommended for an individual. 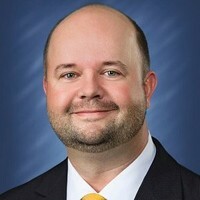 Nate Korhonen is the Director of Life Sales and Support at American Family Insurance. Other considerations that come into play may be things like how many years of income a person might ideally like to provide for a dependent or how much debt a person has. Korhonen said it really varies from customer to customer. “I know that’s not the perfect answer, but it’s easy to see the differences by just thinking about a couple of scenarios,” he said. A person in a family with children, a mortgage payment, a car payment and possibly other payments will need to assess how much debt they have so they can make sure that the policy’s death benefit is sufficient to pay off the debt if they were to pass away, then look at how a policy can also help his or her family with finances. “So then we’re going to talk about how many years they would like to continue to be able to provide that income for their family, and it’s going to become a personal decision at that point,” Korhonen said. Conversely, a person with no dependents may look at a policy that just provides enough of a death benefit to pay off his or her debts. Korhonen said that some experts offer a rough ballpark number of holding a life insurance policy valued at seven to 10 times your annual income. But the younger you are and the more people who rely on you for income, the higher that number goes. He said he’s had customers with policies for 20 times their income because they have a very young family with, ideally, a lot of good years ahead of them. “Look at it this way, this is literally going to be the last paycheck that your family is ever going to get from you — how much do you want it to be for,” Korhonen said. A majority of the time, a family can expect their loved one’s life insurance policy will be payable, Korhonen said. But the two exceptions for American Family Life Insurance Company, and most life insurance companies, are if someone makes a material misrepresentation when signing up for their policy or commits suicide within the benefit waiting period mandated by the state. “If you misrepresent something on the application that’s material to who you are or your health status — maybe you don’t disclose a health condition you know you have, something like that — if you were to do that and then pass away in the first two years, we have to contest that claim,” Korhonen said. If the insurance company investigates and discovers that it didn’t receive truthful information at the time the customer signed up for the policy, then the company refunds the premiums paid to that point, thus voiding the contract. Life insurance contracts also have a provision that limits the amount payable in the event of a suicide within a defined period from the policy effective date. It is a very sensitive topic, Korhonen said, but it would not be sustainable for insurance companies if a waiting period for this cause of death did not exist. Korhonen emphasized that, while these are generally the industry standard rules, there may be companies out there that operate under different guidelines. There can literally be hundreds of variations on life insurance policies, said Korhonen, but for him, it always boils down to one question: Temporary or permanent coverage? Temporary life insurance, which is more commonly known as term life insurance, offers coverage with options like 10-, 20-, or 30-year terms. While this type of insurance is often cheaper, if the term policy expires and the person insured passes away without renewing, the beneficiaries will not receive a payout. On the other hand, permanent life insurance can be more costly, but it covers the insured person for his or her entire life. Another benefit is that the policy can also accumulate cash value that may be borrowed against while the policyholder is still alive, according to the American Family Insurance website. American Family Insurance’s website features a handy life insurance calculator tool. Korhonen said that in his experience, even customers who initially sign up for a term plan wind up getting some level of permanent coverage down the road. “If you have a great agent or even just a great company, your policy is going to be very customized,” Korhonen said. American Family Insurance offers a variety of convenient ways to reach an insurance agent. He said the insurance industry is generally trying to provide more direct-to-consumer options, but, to determine your life insurance, it’s still best to find an agent before making any decisions on your own. 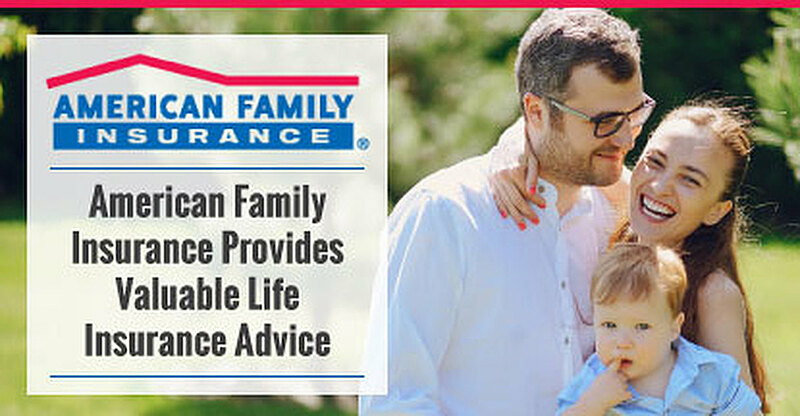 American Family Life Insurance Company makes it easy for customers and potential customers to connect with an agent through email, phone, online chat, or mail. You can also search for agents in your area using its online search feature. I won’t go as far as saying that I’m excited to choose a life insurance policy, but it feels great to know that I’m equipped with some expert advice to move forward in making this important decision. Korhonen and American Family Insurance have certainly helped to make my foray into the world of life insurance policies much less intimidating. And again, the security in knowing I’m doing the right thing for my family far outweighs any self-imposed dread around exploring this topic. Note: Life insurance products are underwritten by American Family Life Insurance Company, 6000 American Parkway, Madison, WI 53783.